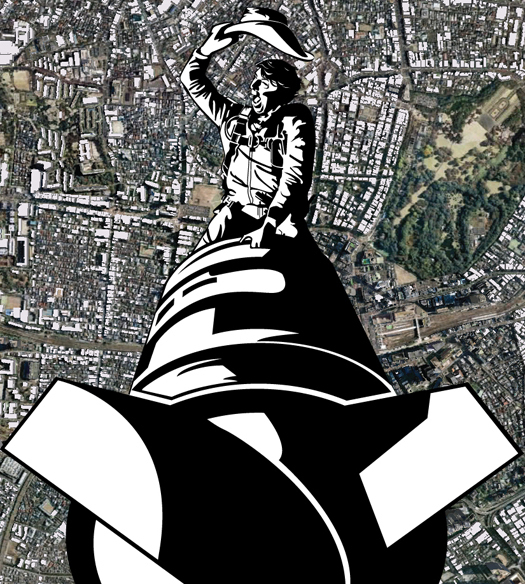 Image, adapted from Dr. Strangelove (1964). The future of Britain’s independent nuclear deterrent remains a controversial subject. Debate continues as to the nature of the replacement for the Trident force of Vanguard class submarines – or whether they should be replaced at all. Whatever their respective views, it is difficult to imagine either David Cameron or Ed Miliband choosing to put the matter at the forefront of their campaigns for the May 2015 general election. Yet 50 years ago today, that is exactly the issue upon which the prime minister chose to base his campaign. International and defence matters rarely feature heavily in election campaigns. Such discussions are complex and information is less readily available, while disagreements often cross party political lines. Conventional wisdom also holds that voters are more concerned with domestic subjects such as the economy, health and education, and polling in 1964 supported this idea. An NOP sample found that just 13 per cent of people ranked Britain’s nuclear deterrent as the most important issue facing the country. Despite this, Prime Minister Sir Alec Douglas-Home took the unusual decision to focus his campaign for re-election on the maintenance of Trident’s forerunner, the Resolution class Polaris fleet. A number of factors explain Douglas-Home’s decision. It was one issue upon which voters supported the Conservative position according to a Gallup poll. Moreover, Labour had been seriously divided on the issue of nuclear weapons. As recently as the 1960 party conference, then-leader Hugh Gaitskell (who died in January 1963) tried in vain to prevent his party from adopting a resolution in favour of unilateral nuclear disarmament. Although the decision was reversed 12 months later, discord remained. The man elected to succeed Gaitskell, Harold Wilson, still needed to tread carefully during the campaign. Labour’s approach to foreign policy had already provided Douglas-Home with some success in the summer of 1964. Britain had secured a deal for Spain to build frigates under British licence. Although the warships were to be built on Spanish soil, the contract was worth around £10 million to British firms over six years. Labour, however, was critical of the deal. There was serious unease within the party at dealing with the right-wing military government of General Francisco Franco, and the resulting uncertainty prompted the Spanish to withdraw from the agreement. Douglas-Home used these events to attack the Opposition for damaging British economic interests. The affair resulted in an upswing in Conservative support in late summer 1964. Despite the possibility of electoral advantage, the main reason for the direction of the campaign was Douglas-Home’s own background and convictions. His accession to the premiership owed much to his success as Commonwealth secretary and then foreign secretary. He was widely respected as an authority on foreign affairs, but had little experience in domestic policy. His 1962 comment that ‘I do my sums with matchsticks’ put him in stark contrast to Wilson, whose aptitude for economics led to his appointment to a research fellowship at University College, Oxford. Douglas-Home also fervently believed in the value of the Britain’s nuclear deterrent. His stance was borne out of principle and conviction and he later condemned Wilson for being ‘ignorant or irresponsible’ on the issue. The Conservative strategy was not without initial success, with their poll ratings remaining favourable until early October. Douglas-Home toured the country was consistent in his message. The Conservative manifesto emphasised patriotism and defence. However, the campaign began to swing in Labour’s favour as the economy began to take centre stage. The final result left the Conservatives with 304 seats (down from 365 in 1959), the Liberal Party 9 (up from 6), and Labour 317 (up from 258) – a majority of just four. The Labour share of the vote was 44.1 per cent (an increase of only 0.3% from October 1959). However, the Liberal vote rose from 5.9 to 11.2 per cent, while the Conservatives lost 6 percent – the largest fall between elections since 1945. The effective swing of 3.5 per cent from Conservative to Labour was also greater than any post-war election. Douglas-Home’s defeat brought to an end 13 consecutive years of Conservative rule. Even if he had decided to fight more on domestic issues, the party was still reeling from the 1962 Profumo affair, along with the events surrounding the sudden resignation of Harold Macmillan in October 1963. Douglas-Home also compared unfavourably in certain ways with his opponent. Grammar school-educated and still in his forties, Harold Wilson’s background stood in stark contrast to that of his aristocratic Old Etonian predecessor, and his victory seemed to represent the changes taking place in British society in the 1960s. Ironically, after deciding to call the election at almost the last possible moment, Douglas-Home’s approach could have been vindicated had polling day fallen just a week later. On the day of the poll itself, news began to filter through from that Soviet premier Nikita Khrushchev had been ousted. The following day China successfully tested a nuclear bomb of her own (code-name 596), joining the USSR as the second communist nuclear power. It is certainly not inconceivable that either of these events could have swung sufficient voters back towards the Conservatives.